Find real estate listings in New Jersey. Homes for sale include Listings in the MLS (Multiple Listing Service), Foreclosed Homes, New Homes, and Condos. Click an area below for a list of cities. New Jersey is the 3rd state to be added to the United States of America on December 18, 1787. New Jersey is located within the New York City and Philadelphia areas and is bordered by Pennsylvania, Delaware, New York, and the Atlantic Ocean. New Jersey is made up of five regions. Along the Atlantic Coast lies The "Shore". The "Gateway Region" is located within the New York metropolitan area. The "Skylands" is rural and mountainous. "Delaware Valley" is located in the Philadelphia metropolitan area. The "Pine Barrens" region is in the southern section and has a lower population due to the numerous pine and oak trees. New Jersey's major rivers are: Hudson, Delaware, Raritan, Passaic, Hackensack, Rahway and more. New Jersey is home to some major pharmaceutical companies like Johnson and Johnson, Novartis, Pfizer, Merck, Bristol-Myers Squibb and home to major telecommunications companies like Verizon Wireless, and AT&T Communications. The New Jersey Turnpike is carries traffic between Delaware and New York and is the best know and most trafficked roadway in the United States. New Jersey is the second wealthiest state according to the U.S. Census Bureau. New Jersey has several professional sports teams. The New Jersey Devils Ice Hockey team have won three Stanley Cups and won the Atlantic Division season nine times. The New Jersey Nets basketball team has had its ups and downs but was led to two NBA finals by Jason Kidd. Search for New Jersey New Homes and new home communities from America's premier builders. Find New Jersey Foreclosed Homes in your area and save up to 50%. Search now! Check New Jersey home prices and view New Jersey Real Estate on HomeGain. 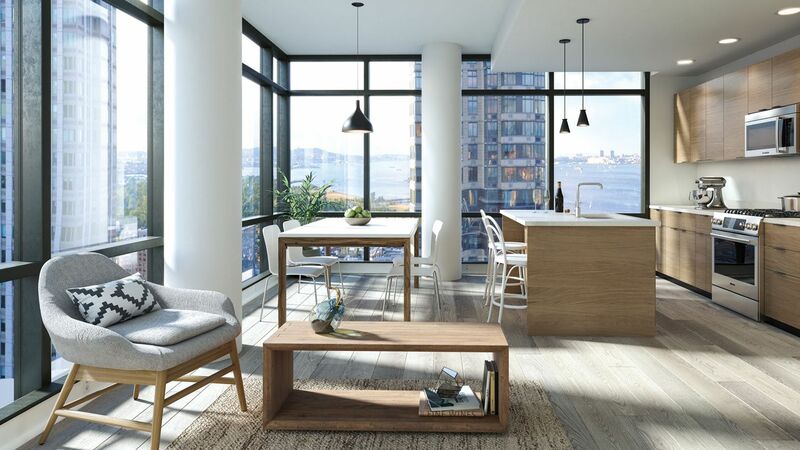 Search Jersey City homes for sale to view current real estate listings, find Jersey City real estate for sale in the MLS, and check Jersey City home prices, including recent home sales and nearby sales. If you are planning to buy a home or sell a home, use HomeGain to view New Jersey homes for sale. HomeGain has the most complete index of New Jersey real estate listings on the web to help you find a home or get a sense of current New Jersey property values. Our listings include New Jersey houses for sale, condos, New Jersey new homes and foreclosures. In many areas, we give you direct access to homes for sale on the New Jersey Multiple Listings Services (MLS), the source real estate agents use to view real estate listings. HomeGain makes home buying and home selling simple, providing you direct access to the most current, complete list of New Jersey houses for sale, over 1 million homes for sale nationwide.